Have you ever been told that you have a voice for acting? Being a voice actor or actress is very similar to being an actor, but there are some differences. When you are a voice actor, you act with your voice. Meaning, your emotions and fluctuations all are held within your voice as you speak and act your role or narrate a book. The wonderful news of being a voice actor is that you can do it in your very own home! You can audition from home, record from home, edit from home and submit your recordings from home. Meaning, you can work in your pajamas and never have to leave the house to drive in traffic or go to a boring office! Those are just some of the rewards of voice acting. 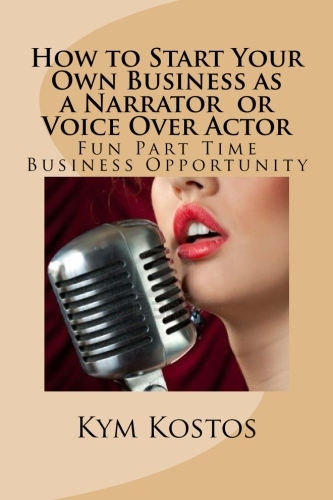 So, how do you start your own voice acting business? Everything is almost the same as starting any business. If you haven't had voice training, you need to brush up on your vocal skills; breathing exercises, keeping your voice clear, voice fluctuation, knowing where to pause, etc... You can even take voice acting classes if needed or you can look on the internet and see what books you can order to help you with your voice acting.